These are just some of the penalties that come from the court, but they are just the tip of the iceberg when it comes to other ways a DUI conviction may impact your life. 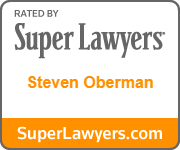 Hello, my name is Steve Oberman, and today I will talk about the collateral consequences of a DUI. By collateral consequences, I mean the problems that result from a DUI conviction but have little to do with the formal penalties someone faces in court. This is part one of a multi-part series. In this podcast I will cover how a DUI conviction negatively affects a person’s auto, health, and life insurance benefits, ability to file for bankruptcy, ability to secure a handgun carry permit, and freedom of travel. While you may already know through common knowledge that auto insurance premiums may increase after a DUI conviction, you may not know that premiums may stay at that level for five years after a conviction. Your insurance provider may even terminate your policy due to the conviction. This may be especially true for people who are covered under their employer’s insurance. Many companies’ insurance policies will not insure an employee convicted of DUI, but a skilled lawyer can often help you work through this problem. It is also likely you will have to obtain an SR-22 Form. Many refer to this as SR-22 insurance, but an SR-22 is only a form verifying you have liability insurance. The problem is that if you are required to have your company issue this form, it is likely to increase your insurance rates or result in the cancellation of your policy. 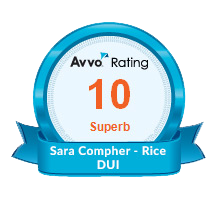 If you have been convicted of DUI, you will likely be able to obtain insurance through another company, but your premiums will probably be much higher. Be certain to shop around for the best deal. What most people don’t realize, though, is that along with auto insurance, health insurance companies may not insure you or may increase your rates once you have been convicted of this crime. Life insurance policies follow similar strategies. Some policies exclude the death benefits if the deceased was determined to be intoxicated at the time of death. Worse yet, when purchasing the policy, failing to disclose a DUI conviction from years before may allow the company to deny death benefits even if the deceased was not intoxicated at the time of death. Not surprisingly, if insurance claims are denied, your bills may begin to pile up. If that occurs, and you have an accident resulting from a DUI, you may be forced to consider bankruptcy – except that a DUI conviction prevents debt relief for anyone affected by the DUI. In other words, bankruptcy courts are not allowed to discharge one penny of debt owed to victims injured as a result of an accident caused by an impaired driver. 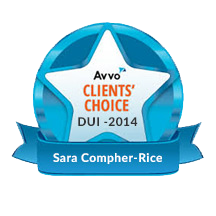 The law simply will not allow a person convicted of DUI to avoid paying money owed to a victim of a drunk driving accident. For many though, insurance is not their primary concern. Instead, the constitutional right to bear arms and the ability to exercise that right with a handgun carry permit is essential. 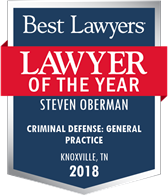 However, if you live in Tennessee and are convicted of a DUI, you will not be permitted to obtain a handgun carry permit for five years after a DUI conviction.Two or more convictions in the 10 years before an application for a permit will also result in a denial of the application by the TN Department of Safety. Even if you were approved for a handgun carry permit in the past, your renewal will be denied if you have one DUI conviction within the last five years or two convictions within the last 10 years. And, you should be aware that Tennessee makes it a separate crime to drive under the influence with a handgun in your possession – even if you do have a permit. Finally, I want to tell you about one of the least thought of consequences of DUI – travel outside the United States. If a person wants to leave the U.S. after a DUI conviction, one should check with the U.S. Consulate in that country before making your reservations. It is better known that a felony conviction may restrict someone’s freedom to travel, but most people are surprised to learn that travel may be restricted for those persons convicted of a misdemeanor DUI. For instance, someone trying to travel into Canada for a hunting trip withcted me. Because this person hired his friends recently contaa lawyer unfamiliar with this law and recommended the client plead guilty to a DUI two years earlier, he was not allowed to join the rest of his group entering our neighbor to the north. The client was understandably upset having just spent thousands of dollars to participate in this vacation. 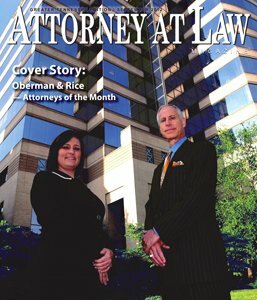 If you want to learn more about the consequences of a DUI conviction, you may always visit our blog at www.tnduicenter.com. And be certain to listen to our next episode, when I will talk about some other collateral consequences of a DUI. We hope you enjoyed listening to the DUI law podcast1 produced by the Oberman and Rice Law Firm. You may read about related legal matter on our websites at https://www.tndui.com and https://www.duiknoxville.com or visit our blog at https://www.tnduicenter.com. 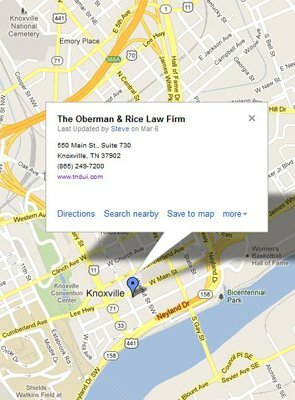 You may also speak to one of our lawyers by calling (865) 249-7200. Until next time, remember to drive safely.